A cargo barrier is a fabricated steel barrier which mounts behind the rear (and sometimes the front) seat and stops anything getting past it. They are usually made of mesh with square hollow section, and bolted to the floor as well as the handles near the roof. Have you ever driven with something heavy in the rear of your vehicle that was not tied down? If you had to slam the brakes on for one reason or another, what would happen to that object? There’s a good chance that it would come forward faster than you can blink. It may hit you, or it may miss you. However, like most of us, when you have several items in the back there is a good chance something will hit you, resulting in serious injury or more likely death. From a safety perspective a cargo barrier is invaluable. However, there are many practical benefits too. How often have you tried to pack efficiently, and on the first corner half of your gear shifts and falls onto the rear occupants? By having a cargo barrier, you can pack everything up against it and make maximum use of the space, without having to worry about it coming forward. The most common cargo barrier mounts behind the rear seats, and runs from the floor to the roof, close to the boundaries of the vehicle all the way around. However, if you have rear drawers, you probably won’t be able to fit a full length cargo barrier. You can get half height cargo barriers, that bolt to just under the back of the seat, or barriers that bolt to your rear drawers. For those who don’t need the extra seats, having a cargo barrier behind the front seat is a great idea as your room for packing doubles. Cargo barriers can be purchased with divisions (both horizontally and vertically) to meet different needs. Be aware of what you really want from the barrier, and go from there. You can also purchase cargo barriers made of net, which tie to the seats. These are cheaper, but I don’t believe they would suit the purposes of many people; the steel ones are a more permanent solution. Who makes cargo barriers, and what should I be paying? A lot of different companies make cargo barriers. Some include Milford, Hayman Reese, Ausguard, Black Widow, Autosafe, 4WD interiors and you can even get genuine car manufacturer cargo barriers. Most cargo barriers start off at around $300, and work their way up to around $650. I picked up my Milford Cargo barrier for $50 second hand, and it is in extremely good condition. I would be looking for second hand ones if possible! Be aware that cargo barriers can be similar from vehicle to vehicle. For example, the 100 series Land Cruiser Cargo barrier will also fit in an 80 series, providing you change the mounting brackets (which is just two new pieces of flat bar with holes drilled). Unless you have some pretty good fabrication skills, I would give this a miss. The time it will take to knock something up that is safe, looks good and is going to function properly will outweigh the cost of buying one (even a new one!). However, a good alternative is to buy something that is close to fitting (from Gumtree etc) and modify it how you need. 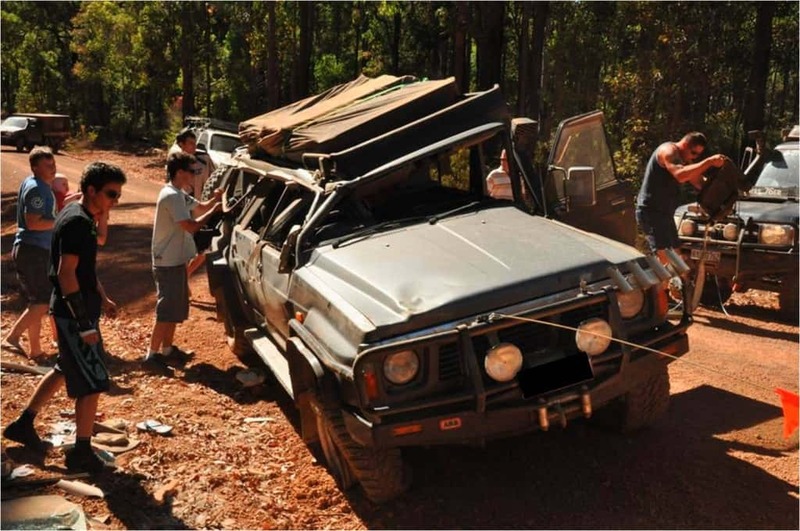 There are Australian standards that need to be met for cargo barriers. You won’t find any that are rated beyond 60kg, but don’t buy something that is cheaper if it doesn’t meet the right standards! Safety first. If you have the right cargo barrier for your vehicle, fitting it should be easy. A lot of the better brands can be removed and re-fitted extremely quickly. However, if you have to do modifications be prepared for a bit of work! I had to cut my cargo barrier so it bolted to the rear drawers, and then make up brackets for the top and bottom. In total it probably took around 6 hours, but most cargo barriers are simpler to mount than that. I would highly recommend a cargo barrier, especially if you are an avid four wheel driver. There is nothing more unsafe than gear flying around in the back of the car, which it most certainly does when you are off road!